The International Society for Diseases of the Esophagus, ISDE has proposed and endorsed the 2018 Esophageal Achalasia Guidelines (I-GOAL). The guidelines cover achalasia diagnosis, definition, presentation, treatment, recurrence, cancer risk, and management of the end-stage disease. They have been prepared according to the Appraisal of Guidelines for Research and Evaluation (AGREE-REX) tool, accredited for guideline production by the NICE UK. The latest guidelines have appeared in Journal of Diseases of the Esophagus. 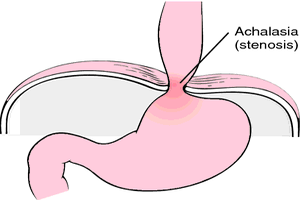 Achalasia is an uncommon primary motor oesophagal disorder, characterized by the absence of relaxations of the lower oesophagal sphincter and of peristalsis along the oesophagal body. The patients usually present with dysphagia, regurgitation and occasionally chest pain, pulmonary complication and malnutrition. The use of High-resolution manometry, HRM for the diagnosis of oesophagal achalasia is recommended. The adoption of Timed barium esophagram, TBS in the diagnostic pathway of achalasia and to evaluate the outcome of treatment is recommended. Performing UGI endoscopy in an adult with the suspected diagnosis of achalasia to exclude neoplastic pseudoachalasia is recommended. The use of the Eckardt score as part of the initial and follow-up assessment in patients with achalasia is recommended. We recommend against the use of nitrates, calcium blockers, or phosphodiesterase treatment for achalasia. We recommend against the use of BTI in patients under 50 years of age, for control of symptoms. Botox injection can be safely repeated, but the clinician and the patients should be aware that their efficacy is lower than in initial treatment. We recommend against BTI in the esophageal body, even in the presence of type III achalasia. We recommend graded pneumatic dilatations as an effective treatment (control of symptoms including dysphagia) for oesophagal achalasia. Strong recommendation . Patients wishing longer-term remission may opt for surgical treatment. We recommend that after PD patients are observed for 4 hours. Water-soluble iodine contrast (Gastrografin) esophagogram (or CT scan with oral contrast) should be performed if any symptoms, even if moderate, suggest that perforation is present after dilatation. We recommend against the routine use of contrast esophagram or computed tomography shortly after PD. We recommend POEM as feasible and effective for symptom relief in patients previously treated with previous endoscopic therapies. Pretreatment information on the risk of GERD should be provided to the patient and follow-up acid suppression therapy) considered after POEM. We recommend against temporary (retrievable or absorbable) stents and intrasphincteric injection with ethanolamine oleate or polidocanol for achalasia. we recommend laparoscopic Heller myotomy for control of symptoms in Chicago type I and type II achalasia. A partial fundoplication should be used when performing Heller myotomy to prevent subsequent development of gastro-oesophageal reflux without compromising the adequate control of dysphagia. We recommend against LHM alone due to the risk development of gastro-oesophageal reflux. We recommend the assessment of symptomatic improvement as the best measure of success after treatment of achalasia. We recommend objective testing in patients who suffer recurrent symptoms after treatment of achalasia including UGI endoscopy, barium swallow, manometry, and 24-hour pH monitoring. We recommend that the long-term outcome of achalasia treatment in children should be closely monitored by symptoms, swallowing function, physical growth, and general development. Recommendations should be based on Achalasia Chicago types , the best treatment option between Pneumatic balloon vs. POEM and LHM.